What Is Christopher Nolan’s Legacy in the Batman Mythology? Now that The Dark Knight Rises has been out on DVD and Blu-Ray for a while and most of the hype surrounding it has calmed down, it’s a good time to discuss Christopher Nolan’s legacy in the whole Batman mythology. Will his Dark Knight Trilogy go down as the definitive take on the character in film or will it be just an outlier when future films take a less-realistic approach to the material. Time will tell. In the meantime, I’d like to share my thoughts on the mark Christopher Nolan made on the Batman series and how it will likely echo for many years to come as the character continues to evolve. It’s fitting to me that the main villain Batman fights in his return to the big screen after eight years of disgrace is a man who is known in the comics for resurrecting and reinventing himself century after century: Ra’s al Ghul. Batman Begins brought new life to the Batman franchise, which had suffered from silly screenplays, careless characterizations, and puny plotlines. Not only did Nolan change this franchise for the better, he also gave a new lease on life to many other high-profile properties, such as Superman, Star Trek, Spider-Man, Alien, and James Bond. They’re all following in the footsteps of Nolan’s success. When I go back and watch the 1989 Batman film, it’s painfully obvious that the hero can’t move his head or torso at all. He has to turn his whole body to look in a different direction and he probably has no peripheral vision. The Dark Knight specifically calls out this deficiency in the costume and turns it into a strength. The added mobility allowed the Caped Crusader to use much better fighting techniques than we had ever seen before. Rather than punch and kick people in cartoony ways and get knocked onto his back in seemingly every fight scene, he fights like a ninja, employing stealth tactics and performing many complex movements that would be impossible if he was embalmed in a rigid suit. This focus on flexibility raises the bar for fight scenes and ensures future incarnations of the hero won’t be as wooden as they have been. 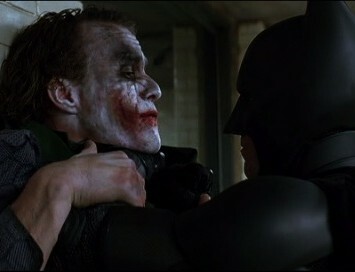 Nolan takes the Batman story very seriously in his films. He goes back to the origin in order to finally do it justice. It’s not just told in a quick flashback. We really get to know Bruce Wayne as a conflicted young man for the first half of Batman Begins before he finally finds his calling in life and dons the Batsuit to fight crime. Part of this focus on the serious side of Batman led to the ignoring of his costumed allies, like Robin and Batgirl. Of course, I’m sure no one shed a tear over not seeing Chris O’Donnell or Alicia Silverstone embarrass themselves in those respective roles again. 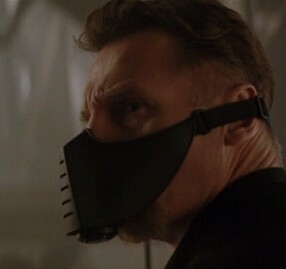 Nolan chose instead to populate his films with realistic supporting characters, such as Lucius Fox, Alfred Pennyworth, Jim Gordon, Harvey Dent, and Rachel Dawes. Batman teams up with lawyers, cops, and businessmen to take on crime syndicates rather than relying solely on his fists. You could argue that it’s better to have other costumed heroes joining Batman’s fantastic quest to rid Gotham City of injustice, but I think this more realistic take worked very well. It will be tough for someone to believably introduce sidekicks into Batman’s future adventures, but the stage has been set for that to happen with the ending of The Dark Knight Rises. Few film series have spotless records. The original Star Wars trilogy, Toy Story, and The Lord of the Rings have no weak links. But even classic series like The Godfather and Rocky had their ups and downs. The Dark Knight Trilogy is the first time a superhero series has managed to produce three great films in a row. Superman couldn’t do it. Spider-Man certainly couldn’t. Not even the X-Men could manage such a superhuman feat. Nolan reinvented the way that comic-book films are made. There is still room for tongue-in-cheek humor like in Iron Man and The Avengers, but it must be tempered by serious themes and genuine emotions if a series is going to have any lasting power. One bad film can stop a promising series dead in its tracks. No One’s Gonna Top Nolan? Is this as good as it gets? Has Christopher Nolan pulled a James Cameron and made an entry in a preexisting series that is so good that no one will ever be able to top it? I hope we’re not doomed to disappointment because we expect more than any filmmaker could ever deliver with the follow-up to The Dark Knight Rises. I imagine that whatever comes next will have to be a complete series reboot, especially if the new people at the helm expect viewers to buy a fresh interpretation of the character. I think there are still plenty of good Batman stories to tell. If done right, Robin can be a great addition to the series, just as he is in the comics. Nolan’s take on the character will probably go down as the best “lone hero” take on the character, but I’m sure that another filmmaker can come in and make a definitive ensemble version, including Batman teaming up with Robin, Batgirl, and Catwoman to bring down a bunch of dastardly bad guys. It’s possible to make a good movie with a more stylized setting. There’s certainly plenty of source material to draw upon. I’m excited to see the Bat-Signal in the sky again someday. All images are the copyright of Warner Bros. Pictures. This entry was posted in Random Stuff and tagged action movies, batman, christopher nolan, comic books, films, movies, the dark knight. Bookmark the permalink. 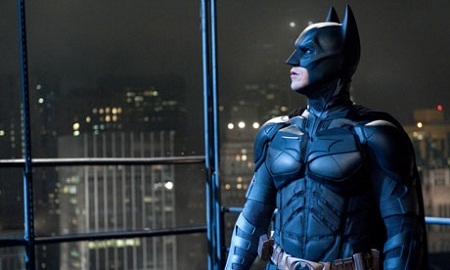 9 Responses to What Is Christopher Nolan’s Legacy in the Batman Mythology? Nolan’s legacy will be ‘2 out of 3.’ First two were fabulous, last one he fell asleep, felt as if he just wanted it to be over. It was good – average good. But for a finale, Nolan did not come up with the goods. Or maybe we’re just spoiled rotten viewers! Thank you for your comment. I like to think of the third film as more in the vein of Return of the Jedi. The villains from the first film say, “If at first you don’t succeed, try, try again.” In Return of the Jedi, they built another Death Star and had the same result as the first time. In The Dark Knight Rises, the villains try to destroy Gotham by having the citizens tear themselves apart, but they up the ante by actually threatening to level the city, as well. I’m not a huge fan of this repetition, and I think they could have come up with a better idea than that, but I still find it to be better than any of the films from the ’80s and ’90s. It’s just not as good as the first two, like you said. I don’t think there’s anything wrong with having high expectations, especially when it comes to Christopher Nolan’s films. I think The Dark Knight Rises definitely could have been a lot worse (e.g., Spider-Man 3, Superman III, or pretty much any third film in a series, come to think of it), and it does have a lot of things I really enjoy. I hope that whatever comes next will be just as innovative as The Dark Knight Trilogy turned out to be.